Why join the Cyclones? Click here to learn more! Again all players must register individually with USA / Mass Hockey and pay a $48 Registration Fee prior to particpating in any program. 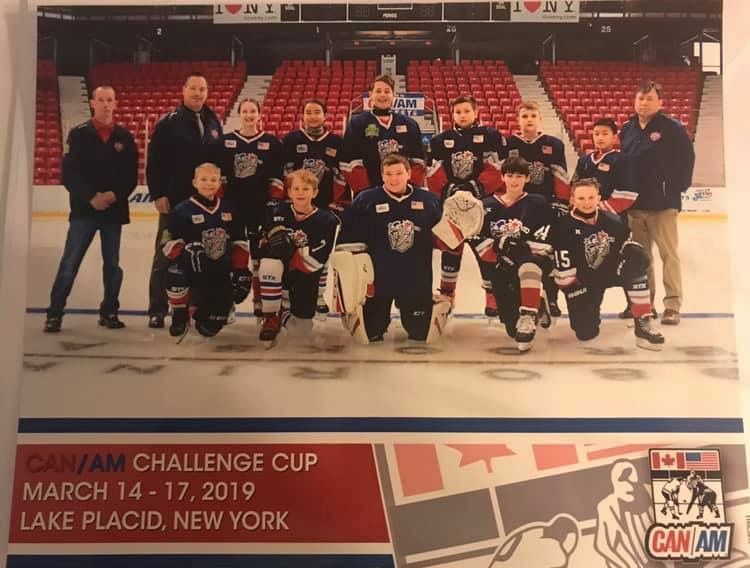 2018-2019 USA Hockey Registration Opens April 2nd.. This registration period will be good until August 31, 2019. Further information on how and when to register will be provided via email prior to that time. 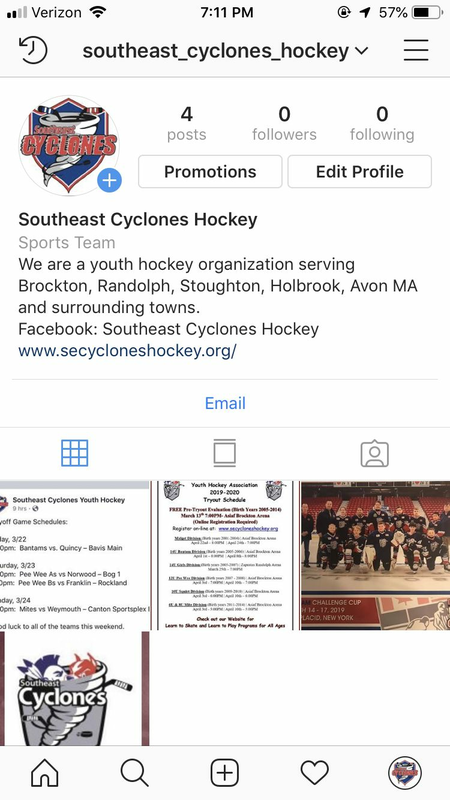 Come check out the new Instagram page for the Southeast Cyclones! 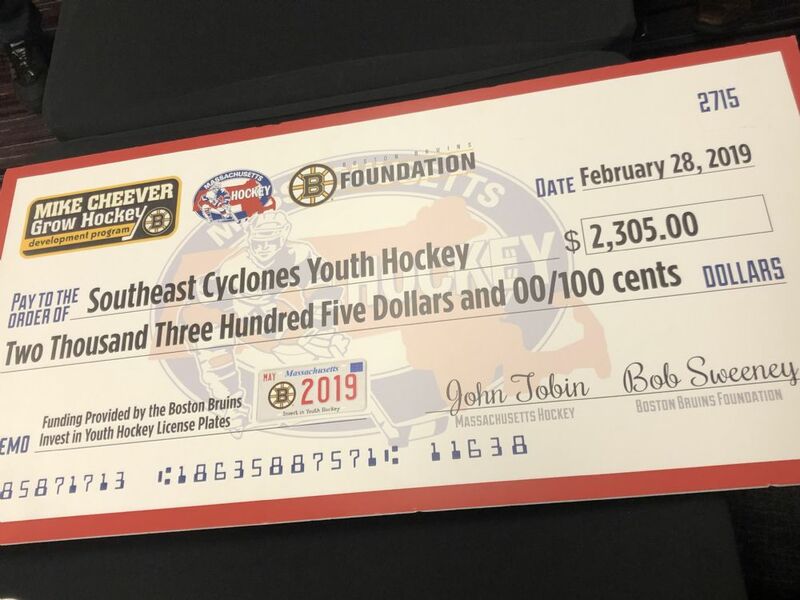 Each year, Massachusetts Hockey along with the Boston Bruins Foundation, through the Boston Bruins Invest in Youth license plates offer hockey programs the ability to apply for grants under the Cheever Award Grant to help grow their programs. In February, the Southeast Cyclones applied for a grant to purchase equipment for our Learn to Skate Program. 11 hockey programs were chosen, and the Cyclones are one of them! We wanted to be able to supply loaner equipment along with our Learn to Skate Program so that every child has a chance to try hockey. Through the Loaner Equipment Program, a parent does not have to purchase new skates or equipment for their child to try hockey. Instead, their child can “borrow” equipment and see if they like the sport. The Board of Directors officially accepted the grant check at the Annual Meeting on Tuesday March 19, 2019. A huge THANK YOU to Cyclones Secretary Deb Ward for all her efforts in securing this grant!